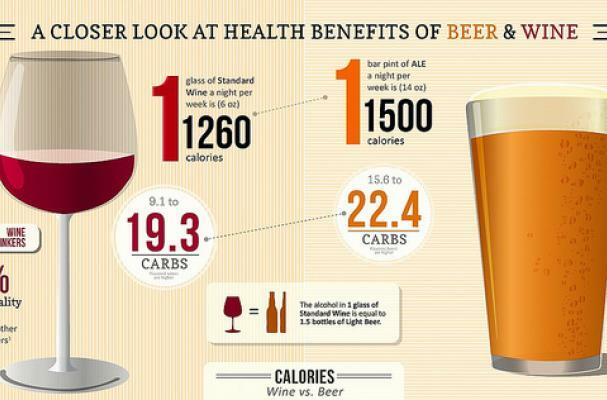 Check out the health benefits of drinking wine and beer, including the calories you're consuming in each tasty glass (or bottle! 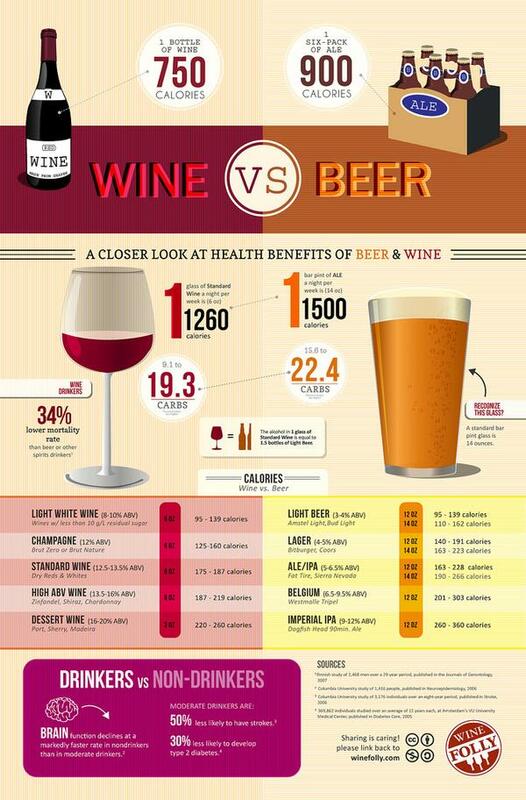 ), featured in this fun and informative infographic from WineFolly.com. For example, did you know that moderate drinkers are 50% less likely to have strokes and 30% less likely to develop type 2 diabetes?! We'll say cheers to that! Check out the full article here.